We are approved contractors for all Kingfisher damp proofing products and have many years experience in protecting homes from damp. 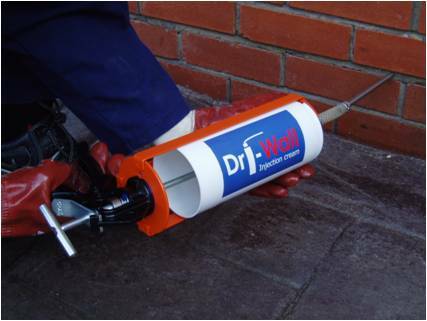 Damp proofing at its simplest is preventing walls from acting like a sponge and drawing water up from the ground (Rising Damp). Modern buildings are constructed with a tough Damp Proof Course sandwiched between the bricks right around the house just above the foundations. This damp course acts as a physical barrier prevents damp from rising up the walls. Unfortunately however many older buildings never had a damp course or the materials originally used have broken down, allowing dampness to push through. This is where a Chemical DPC (Damp Proof Course) and VM Dundas comes in. We will take care of your rising damp problems by treating your building with a chemical fluid which reacts with the moisture to form a permanent water barrier.